Bring the nature in with this oversized Tree & Birds stencil! 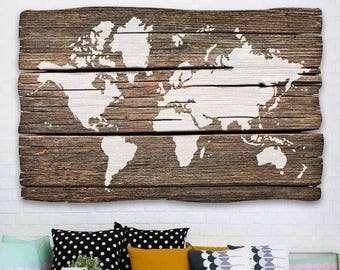 This large wall stencil makes a stunning accent on a wall next to a sofa or table, above the bed or pretty much any wall space. Great for kids rooms! If you love the look of trendy vinyl wall decals but dislike the idea of putting vinyl stickers on your walls, these silhouette wall art stencils are just what you've been looking for. Not only are they re-usable, but they give you the flexibility of using any color you want. You'll also get the satisfaction of knowing that you've created your own hand-painted wall art instead of just applying a sticker. 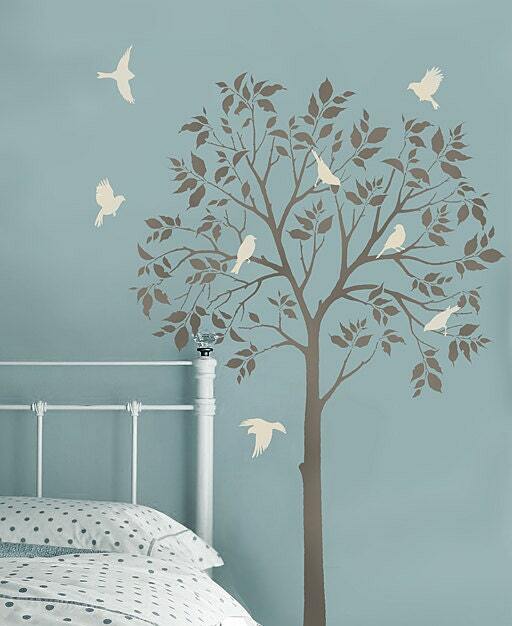 This large tree stencil will instantly transform a room. Stencil just a single tree, or create an entire forest with just one reusable stencil. Use different colors, add playful Birds or butterflies, or just keep it simple - the choice is yours. Single overlay wall stencil, comes in 2 sheet for the ease of stenciling. Sheet sizes: CROWN 48x40", TRUNK 13x38"
Garden Birds stencil with 8 different birds is INCLUDED FREE! Reusable wall stencil, not a vinyl wall decal. •	Our Sturdy and Reusable stencils can be used again and again. One stencil can produce many images unlike 1 time use vinyl decals. •	You are not limited with your color choices. Choose any paint color you want to perfectly match your décor. •	Stencils will never damage your walls. No peeling, no glue residue, no worries. •	Unlike decals, stenciling is easy to touch-up, adjust or re-do. With most decals you get 1 chance to install it right. •	No artistic ability is needed to use a stencil. Plus you get the satisfaction of producing beautiful wall art. Even beginners get great results! •	Super economical! Stenciling is more cost effective than wallpaper, decals or faux finishes. •	Works on textured walls, floors, ceilings, furniture and fabric (see below for more detailed info). •	Custom sizes available on request. •	Free stencil with every order! •	Detailed illustrated Stenciling Instructions included. This tree stencil is so easy to use, virtually anyone can do it. Take a look at the pics! Simply tape the stencil to the wall using BLUE painter's tape, then load your foam roller with a paint of your choice (latex or acrylic). Offload the excess paint on a folded paper towel. Then, just roll over the stencil applying medium pressure for an instant fabulous result! Don't press on the roller too hard otherwise you might get some bleed. Use a separate roller (or stencil brush) for each color. Stencil is reusable and good for many uses. We find that there is no need to clean the stencil between uses if you let the paint dry completely on the stencil before your next use. We clean our stencils only when they accumulate a lot of paint after many, many uses and get too heavy to be taped to the wall. Got textured walls? No problem! If your walls have a light/medium texture, they are quite suitable for stenciling. With textured walls it is better to use a stencil brush. It’s especially important that you put very little paint on your brush, always off-load it on a paper towel, and use rubbing/dabbing motion while stenciling. Using a spray adhesive also helps a lot to prevent any seepage of paint under the stencils. But again, you'll not get any seepage with textured walls if you use very little paint on your brush. If you try using a foam roller, definitely use spray adhesive, ( we love Elmer’s) use very little paint and don't press hard on the roller to avoid seepage. When stenciling on fabric, stencil adhesive is a must. First, tape your ironed fabric to the surface so it doesn't move around while you stencil. 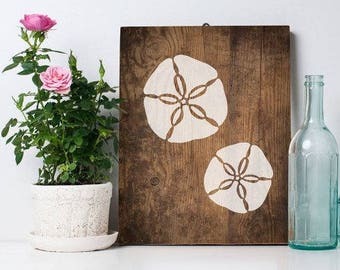 Use stencil brushes, not roller, and add some textile medium ( sold in craft stores) to your acrylic paint. You can also get a special fabric paint, but, frankly, good craft acrylics with a dollop of textile medium work just as well, and cost way less too! :) Let the stenciled image dry completely, 24 hours is best, then heat-set it by ironing the fabric for about 20 sec. ( more or less) on a LOW setting through the piece of cloth. Heat-setting will cure the paint and will prevent it from being washed off in the washing machine. Always experiment with a sample of your fabric first to ensure good results. I've stenciled on silk, cotton, linen and even sheer fabrics with great results. It's always better if your fabric doesn't have too much texture. The stencil is made out of durable 12 mil clear plastic stencil material. This material is strong but flexible, reusable and easy to clean. We love it so much more than standard 5-8 mil Mylar! It's not brittle, user friendly and just so easy to work with. In our many years of professional stenciling this material has proven to be far superior than any other stencil material we used. Our customers love it too, and we are sure that you'll notice the difference! Our stencils will last long time and are a pleasure to use. WE COMBINE SHIPPING, BUY MORE AND SAVE! WE ONLY SHIP WITH PRIORITY MAIL TO ENSURE SPEEDY DELIVERY ON DOMESTIC AND INTERNATIONAL ORDERS! Your order may be subject to import duties, custom tariffs or VAT charges. They vary greatly from country to country and we strongly suggest checking your country’s customs policy before placing your order with us. These charges are always the responsibility of the recipient. As advertised, worked great, first time ever using a stencil. Shipped quickly. I love this dreamcatcher stencil! Great quality and shipped super fast! Shop has AMAZING customer service, don't get me wrong! But even after using the spray adhesive and following directions, the stencil leaked on me and it did NOT create straight lines. Thanks so much for the extra effort in getting this to me. I love it! 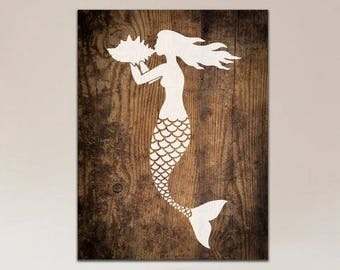 I don't know if I can do it, but I'm going to try my hand at stenciling! We accept PayPal. Please make sure your PayPal address is correct since we'll ship your order to your registered PayPal address. 7% sales tax will be added if you live in NJ. Cutting Edge Stencils is dedicated to providing quality products and great customer service. You may return any item within 30 days from the date of purchase. If you would like to return an item, you must first contact us to let us know of your intention. Next, ship the unused, undamaged and unopened item back to us. Upon receipt of the unopened and unused goods, we will gladly refund your credit card or PayPal account for the full amount minus shipping charges. We have found the United States Postal Service to be the fastest and most efficient way to ship our merchandise. Most orders will be processed and shipped within 2-4 business days and should arrive to you within 7-10 business days for domestic orders. Shipping time for international orders can take longer, up to 30 days. We ship Priority Mail only. If you need expedited shipping, please call us at 201-828-9146 to get rates and delivery time estimates. Any overnight orders must be placed before 12 PM EST. Cutting Edge Stencils strives to keep it's shipping costs as reasonable as possible. Therefore, if we have shipped your order and confirmed delivery to the address you have provided and you cannot locate the package, it is not our responsibility. Your order may be subject to import duties, custom tariffs or VAT charges. They vary greatly from country to country and we strongly suggest checking your country's customs policy before placing your order with us. These charges are always the responsibility of the recipient, we have no control over these charges! Individual designs and photographs are copyrighted by Innovative Art Concepts with all rights reserved and may not be copied, reproduced, or used for publication without express written permission. Cutting Edge Stencils is a trademark of Innovative Art Concepts, LLC.